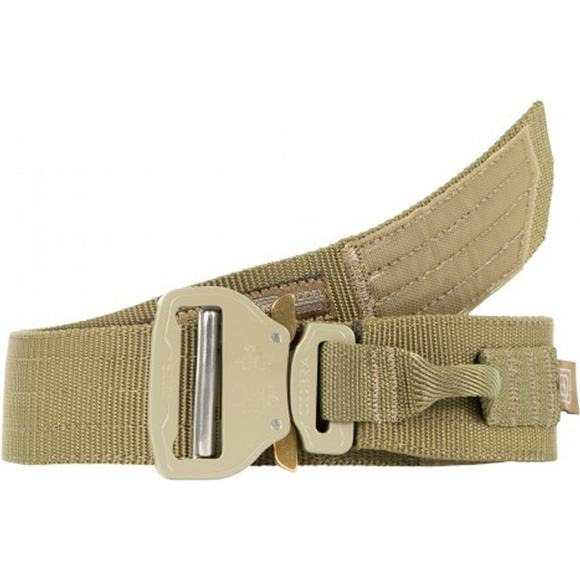 Comfortable, ergonomic, and designed for one time fit and forget convenience, the 5.11 Tactical Maverick Assaulter's Belt features a patented AustriAlpine® buckle assembly that gives you quick attach and detach capability but remains stable and secure when worn. An integrated web loop at the front provides added customizability. Comfortable, ergonomic, and designed for one time fit and forget convenience, the 5.11 Tactical Maverick Assaulter&apos;s Belt features a patented AustriAlpine® buckle assembly that gives you quick attach and detach capability but remains stable and secure when worn. An integrated web loop at the front provides added customizability. 24-26" 28-30" 32-34" 36-38" 40-42"